﻿ Hively » How Do I Use Hively with UserVoice? How Do I Use Hively with UserVoice? Please note: A UserVoice account on the PRO tier is required for full integration, as outlined below. If you don’t have a Pro account, you can still use Hively with UserVoice by inserting your regular Hively snippet in each user’s signature. 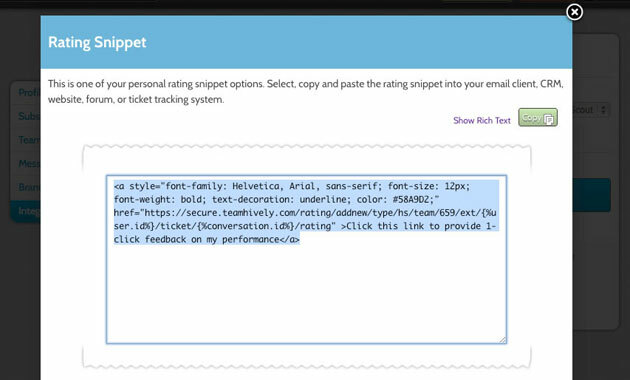 It’s easy to insert Hively rating snippets into UserVoice. Now you can measure customer satisfaction for each of your team members through your UserVoice email templates. Here’s how to do it. 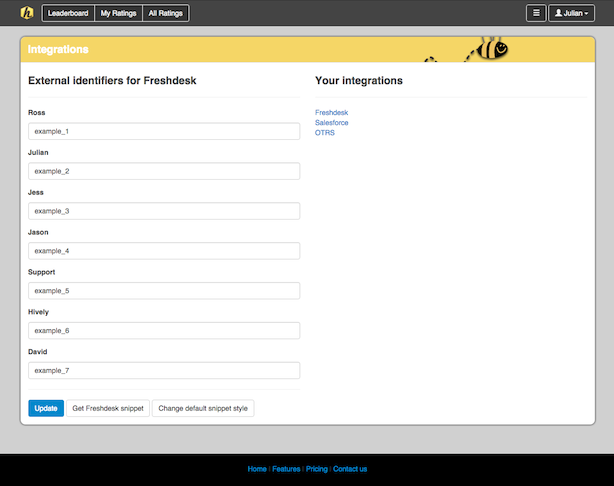 Login to Hively and click on the menu in the top right, then select Integrations. Select UserVoice from the integrations list. Enter the Staff ID’s you collected from UserVoice and enter them for each team member. Next click on the Get Snippet link. In the popup window, click the Show HTML link, then copy the code. Go back into UserVoice and edit the email templates you want to have the snippet appear on and paste the snippet code into the template.